Sometimes you can get rid of things in ways you never would have expected. Take, for example, the mix tapes I found last night in a box. Yes, I said mix tapes, those goofy compilations of music that we used to put on cassette and give to friends back in the ’90s. I have 16 of them. I haven’t listened to them in years because I don’t have a tape player. And since I probably won’t be getting a tape player anytime in the near future, I’m perfectly okay with bidding them farewell. I didn’t just want to pitch them in the dumpster, though, so I booted up google and started hunting for ways to recycle them. 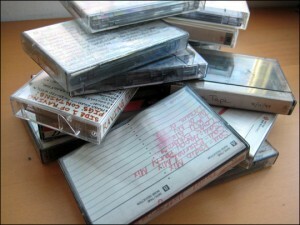 After finding all sorts of kooky DIY projects out of cassettes, I ran across an article that suggested Craigslist. I chuckled, but thought I might as well give it a shot. If nobody responded, I only spent 10 minutes putting up the listing. I got 6 responses before I finally took down the listing. One guy said that he was tired of CDs skipping when he went out on his boat and wanted to go back to the older technology. Another guy wrote that he was intrigued by my post and was interested in taking a trip down memory lane and listen to what I had recorded on the tapes. I even got a woman who’s doing a whole art project involving mix tapes. All of this tells me two things… First, that there are creative ways to re-use items that you don’t want anymore (and, in fact, there’s probably someone out there who wants it even if you can’t understand why they would)… and, Second, that you can probably get rid of just about anything on Craigslist if it’s free. I’d heard that you could give anything away, but I didn’t really believe it until I found someone to take a legless table from me on Albany Freecycle. 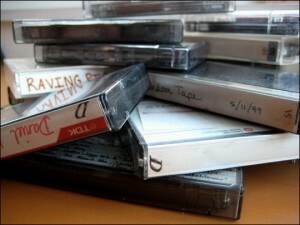 I miss mixed tapes, but my collection is much smaller now that I’ve gotten rid of so much stuff. The best tape is an audio recording my mother made of us when we were toddlers — this was before video. I had it put on CD, but I kept the original tape just in case. I’m intrigued by the person doing a projet on “mix tapes”! 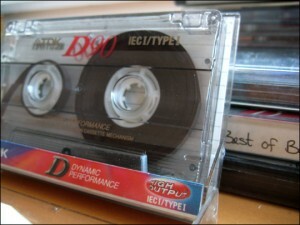 I ended up converting my old cassettes to mp3 using a special gadget. I was able to get rid of the tapes and my tape player. I still have to convert a treasured book-on-tape to mp3, then I can sell the conversion gadget.